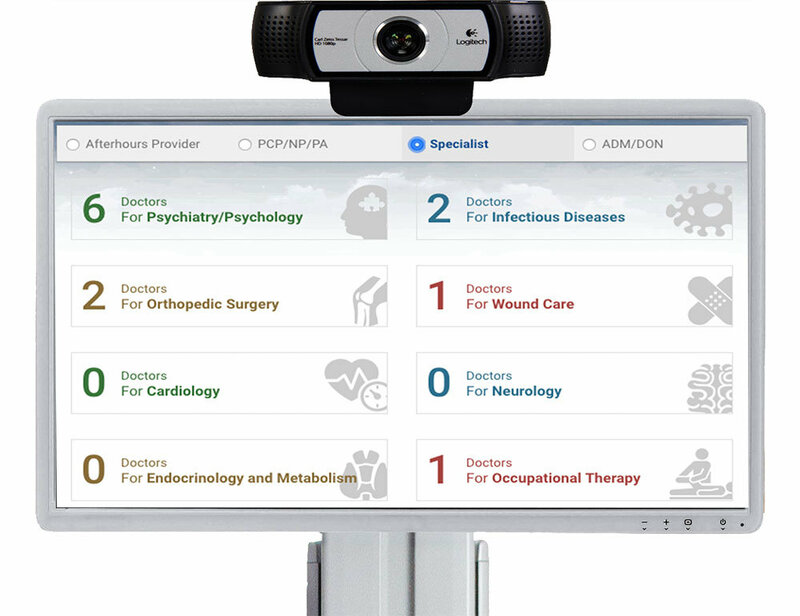 The provider is able to choose from multiple specialities and invite a Specialist to join the Telemedicine session. Invited Specialists are able to join from their smart phone, tablet, or computer. The Specialist connects and is able to examine the resident in coordination with both the attending provider as well as the treating nurse. 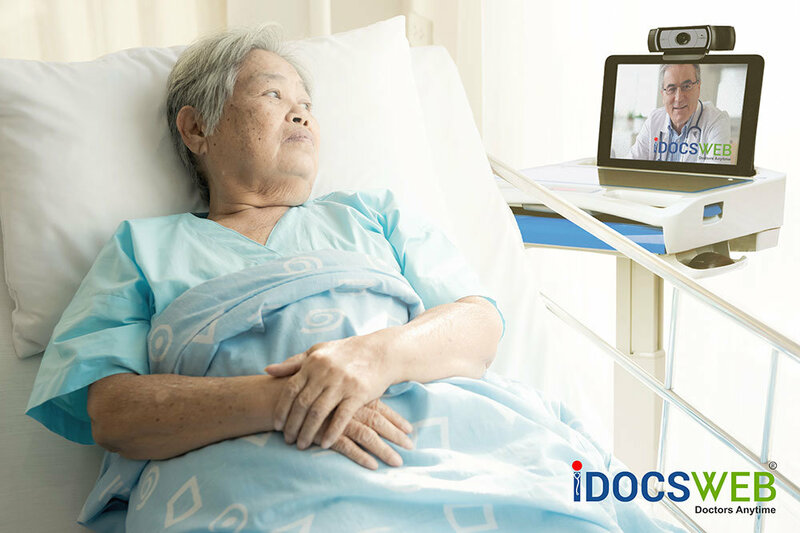 Our removable HD camera allows for close-ups and snapshots of specific areas on the body. Heart and lung sounds may be monitored using our optional digital stethoscope. Lab work and X-Ray files may also be transferred to assist examination. The provider and Specialist establish or make modifications to the resident’s treatment plan. A SOAP Note is completed and saved in the institution’s EMR. Our Billing Module allows the provider and Specialist to securely send a coded/electronically signed record of the encounter to his or her biller. The nurse follows the ordered care plan and administers treatment at bedside eliminating the need for expensive and dangerous transportation. Are you ready to eliminate transportation costs and reduce cross-infection risks? What do Doctors Say About iDocsWeb?